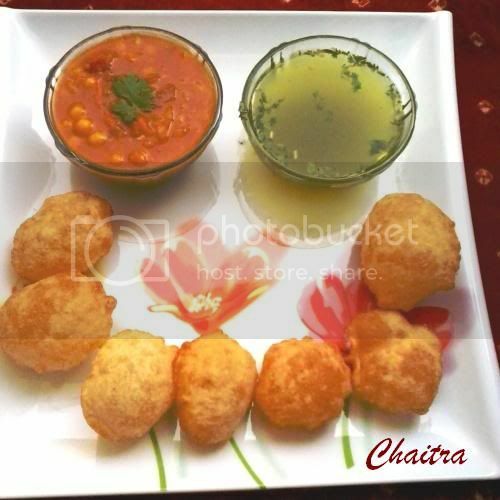 Panipuri is a hollow, puffed, round dough with a crunchy shell. The shell by itself is not tasty, unless it is filled with a spicy potato-based mixture and dipped in masala water. The stuffing is prepared separately, and inserted into the panipuri through a hole made in the shell. It is then dipped in the masala water and served. Chopped onions and chopped coriander!! For Pani-Grind pudina,coriander and green chilli together into a fine paste.Now add this paste to water along with pani puri masala,cumin powder and salt.Mix all the ingredients well and keep it aside. For Chutney-Grind all the ingredients into smooth paste by adding little water.The chutney should be sticky and consistency should be thick. While serving-Make a small hole in the puri,now fill it with 1 tsp of chaat,tamarind chutney and onions.Dip it in pani and now your pani puri is ready to eat. Lastly all i can say is Enjoy!!! But don't forget to leave your valuable comments here!!! Its all raining sweet things to me.Let me share this happiness with you all.Firstly i was blessed with good percentage in my Final Board exams,my dad bought me a cute Lying Teddy,i got two awards from 2 wonderful people Shanthi and Hari,lastly topping all drinking chocolate milkshake everyday.I know chocoholics are jealous but don't worry i am sharing my recipe with you all.Chocolate ice cream is the main player and roasted nuts give that crunchy sip and chocolate sauce adds twist!! But before i want to you to have a look at my Sweet lying Teddy.If you want to have one you can click it!! 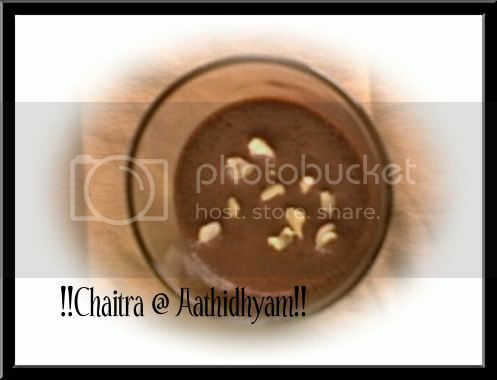 Blend chocolate ice cream,cold milk,sweetened cocoa with the help of electric blender.Take a serving glass add chocolate sauce and then chocolate mixture.Finally add roasted nuts and serve. Necessity is the mother of invention.This perfectly applies to my sister,coming back from school she use to prepare Maggi every day.Getting bored with the same old method of preparation,she started making modifications to the same and now she makes this perfect Maggi for me and her! !Here is her recipe!! 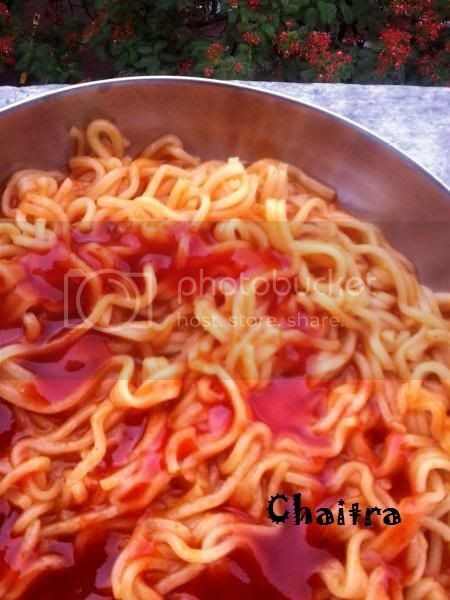 Boil water and add ghee to it.Now add maggi and bring it to boil.Meanwhile take a small bowl and add masala(Maggi Tastemaker),oregano,pepper powder,chilly flakes and mix it with 2-3 tbsps of water.Now add this mix to boiling maggi.Finally add tomato sauce.Mix all the ingredients well and serve hot. 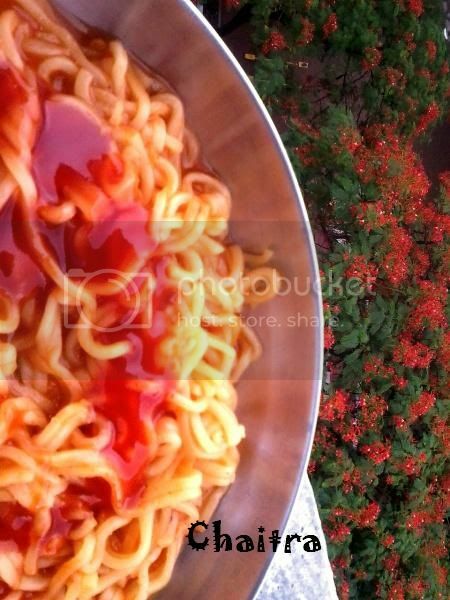 Suggestions-Use Maggi Hot N Sweet sauce. 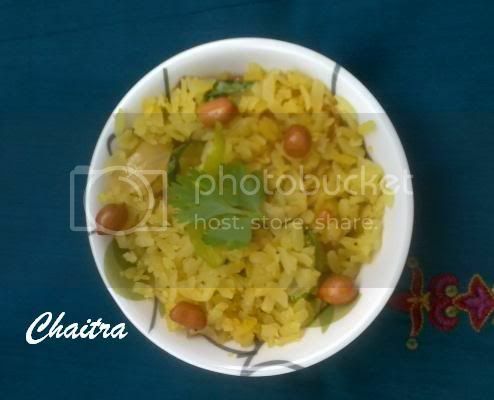 Very easy,simple and tasty break fast within 15 mins-Atukula upma!! 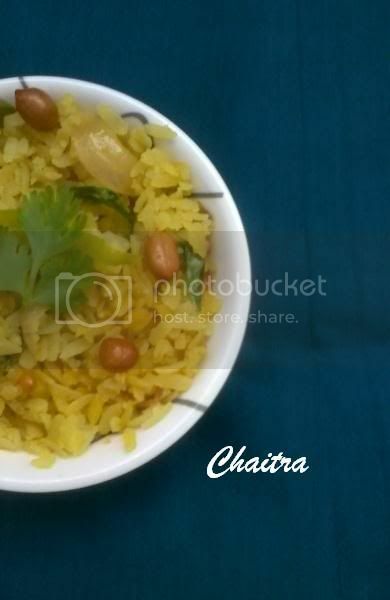 Wash poha and squeeze excess water.Heat oil in a pan and fry mustard seeds, dry red chilly, chana dal,urad dal, curry leaves, onions,green chillies, turmeric,peanuts and cashew nuts.Cook for few mins(till fried).Now add salt.Finally add wet Poha and mix all the ingredients well.Adjust salt and then serve. 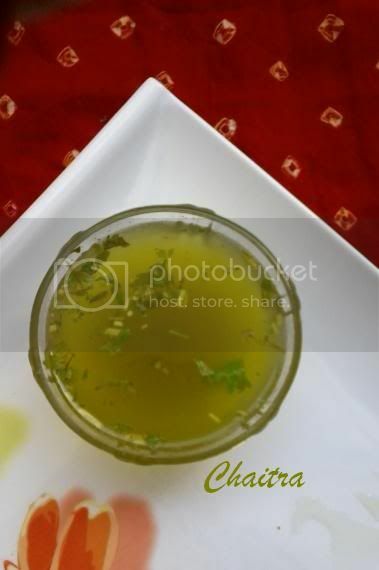 SERVING TIPS-Serve hot with lemon wedge and chopped coriander leaves. 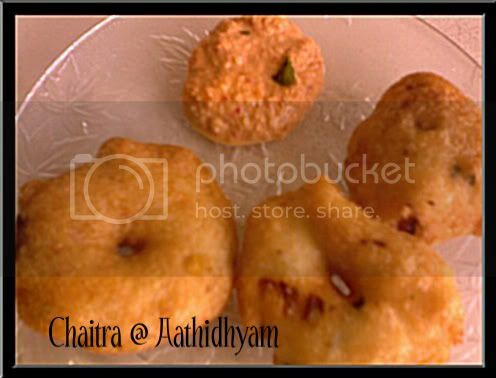 No festival is complete without Garelu.After idli the second position is given to Vada.Many names to this crispy golden brown dish like Medu vada,Vada,Lentil dumplings,Vadai etc n etc,this list goes unending.Adding chopped onions,cabbage to the normal vada adds one more name i.e, Onion lentil dumplings. Soak urad dal and uncooked rice for 6 hours.Now grind this dal into fine paste by adding little water and salt.Now to this paste add chopped ginger,chopped onions,chopped cabbage and green chillies.Mix all these ingredients well.Adjust salt if required.Meanwhile heat oil in a wok and make sure that it is hot.Now wet your hands with oil.Take lemon sized ball of this mixture and make it flat and make a small hole in the centre.Now slowly drop it into hot oil and cook until golden brown. 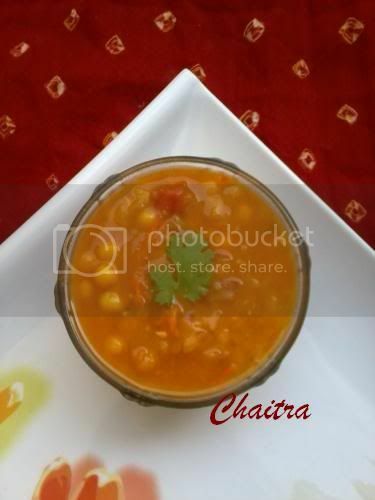 Serving tip-Serve hot with sambar and any chutney. 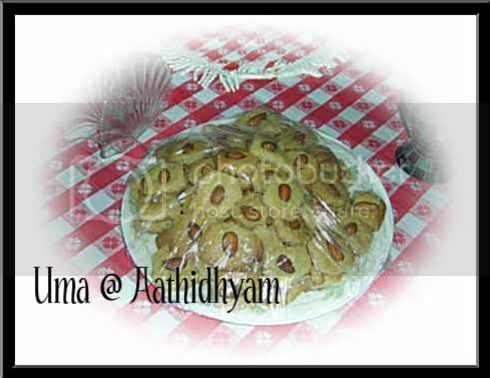 Tasty Almond cookies from my Aunt's kitchen!! Preheat oven to 325 degrees Fahrenheit (162.5 degrees Celsius).In a large bowl, sift the flour, baking powder, baking soda, and salt. In a medium bowl, use an electric mixer to beat the butter or margarine, shortening, and sugar. Add the egg and almond extract and beat until well blended. Add to the flour mixture and mix well. Note: The dough will be crumbly at this point, but don't worry - that is what it's supposed to be like. Use your fingers to form the mixture into a dough, and then form the dough into 2 rolls or logs that are 10 to 12 inches long. Wrap and refrigerate for 2 hours (this will make it easier to shape the dough into circles).4Take a log and lightly score the dough at 3/4 inch intervals so that you have 15 pieces and cut the dough. Roll each piece into a ball and place on a lightly greased cookie tray, approximately 1 1/2 inches apart. Place an almond in the center of each cookie and press down lightly. Repeat with the remaining dough. Brush each cookie lightly with beaten egg before baking. Bake for 15 minutes to 18 minutes, until golden brown. Cool and store in a sealed container. 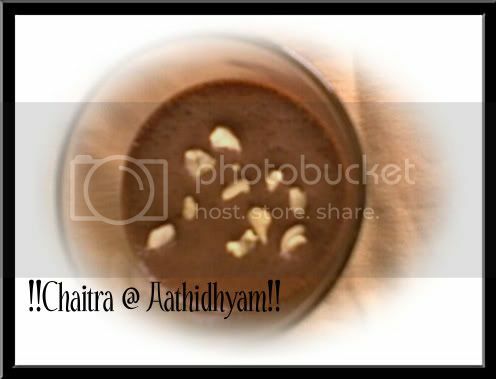 This creamy,mouth watering and easy Ice cream comes from my Aunt(Uma). She says -I am a fun-loving, easy going and dependable person. Being a cancerian, I am a little sensitive and consider my self a good cook!! My comments-Really the pic looks tempting and i am glad that she is here with me in India!! This is utterly delicious. In fact, my kids love it so much that we have reduced the buying of ice creams from outside. 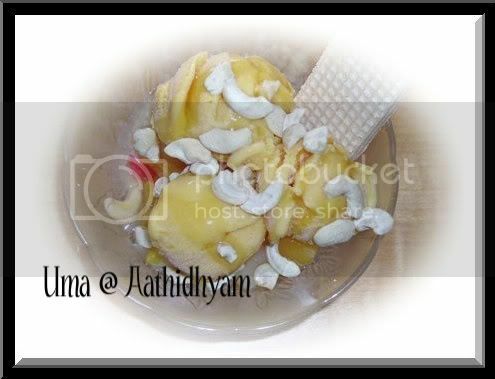 Take a bowl and combine all the three ingredients.Now freeze this mixture.While serving add cut mango and pineapple pieces.Scoop the ice cream and add honey and cashew nuts.Finally top it with cherries. Yummy yummy Mango ice cream is waiting for you! !Are you ready to taste it??? 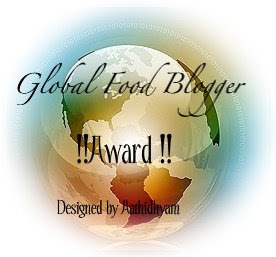 It gives me great pleasure to announce to you all that my blog reached 3000 mark.I thank all the wonderful bloggers who took time and left their valuable comments and encouraged me time-to-time.Here's one small token of appreciation-i mean Global blogger Award for our cute bloggers,promoting Indian as well as International recipes through their blogs. 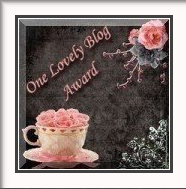 I am giving this Award to the following bloggers! !